Match highlights from Ivo Karlovic's win against Yuichi Sugita after four and a half hours in the second round of the Australian Open 2018. Ivo Karlovic match highlights against Laslo Djere in the first round of the Australian Open 2018. Ivo Karlovic discusses his love for basketball and how his coach motivates him in this ATP Player Profile. Nick Kyrgios defeated Ivo Karlovic of Croatia in a 4-6, 7-6, 6-3 and advanced to his third ATP World Tour Masters 1000 quarter-final of the year. 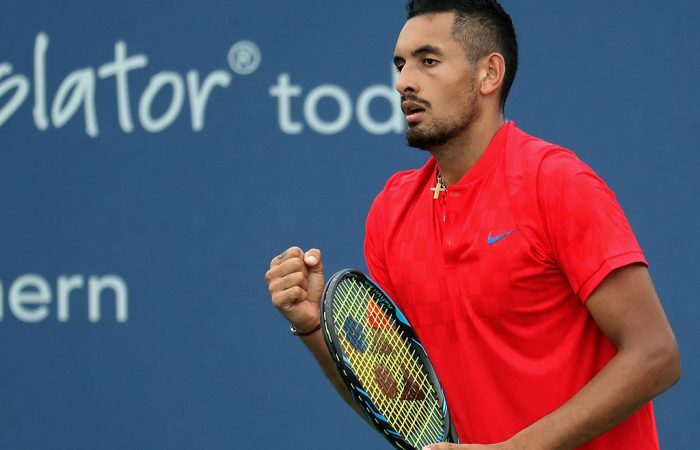 "It was tough, obviously," said Kyrgios. "Coming back today, I had a very slow start. It was very windy out there, so I couldn't get anything going on my serve. Obviously he can serve through any sort of type of conditions. I just had to stay tough. Obviously, I got a couple of lucky points in the tie-break and forced a third set. I just managed to find some rhythm and find some energy and obviously take the third set."